Eleven nations bid to host the Men’s and Women’s EHF EURO in 2022 & 2024. 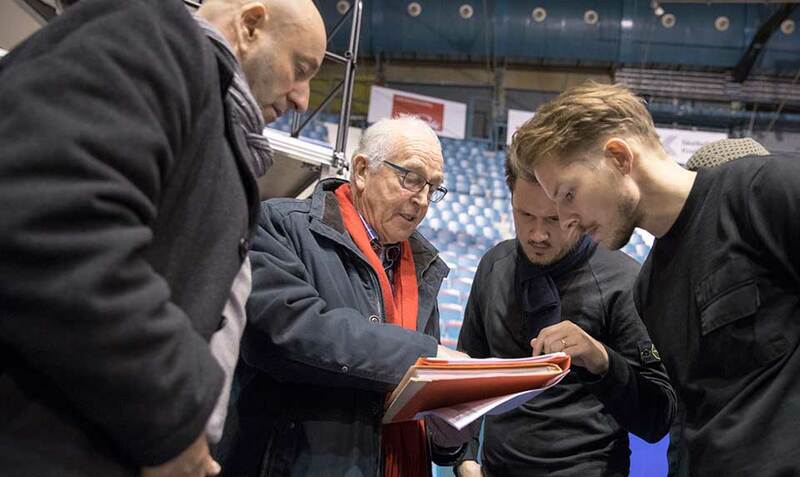 From Spain in Europe’s west to Hungary and Slovakia in the east; from Denmark in Europe’s north to FYR Macedonia in the south-east: the bidding process for the EHF EUROs in 2022 and 2024 attracted considerable interest across the continent. EHF EURO events around the globe. Millions more followed across digital channels and hundreds of thousands of fans witnessed the events for themselves in arenas across Poland and Sweden. These were record-breaking results and offered us a moment to savour and celebrate as the EHF’s flagship national team events reached new heights. 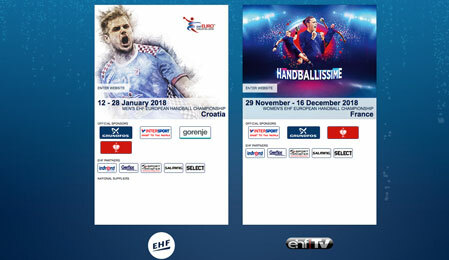 The EHF EURO has flourished since the first European Championship events were held back in 1994 and has firmly established itself as one of the top events in international handball. It is an appealing platform for partners and sponsors and, even more importantly, it has become a competition that thrills and excites both players and fans alike. This successful development also points us to the future potential of the competition. 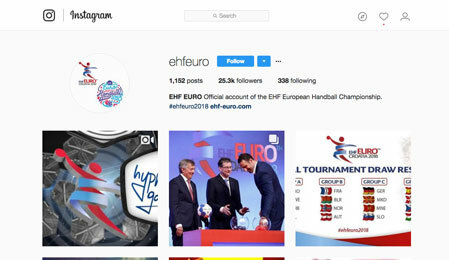 Audience numbers and media coverage have been growing exponentially year on year, as has the event’s online reach thanks in no small part to the EHF’s innovative approach to digital and investment in providing engaging content to handball’s ever-growing fan base. This global audience makes the EHF EURO an attractive proposition to companies looking for an opportunity to promote their brands. 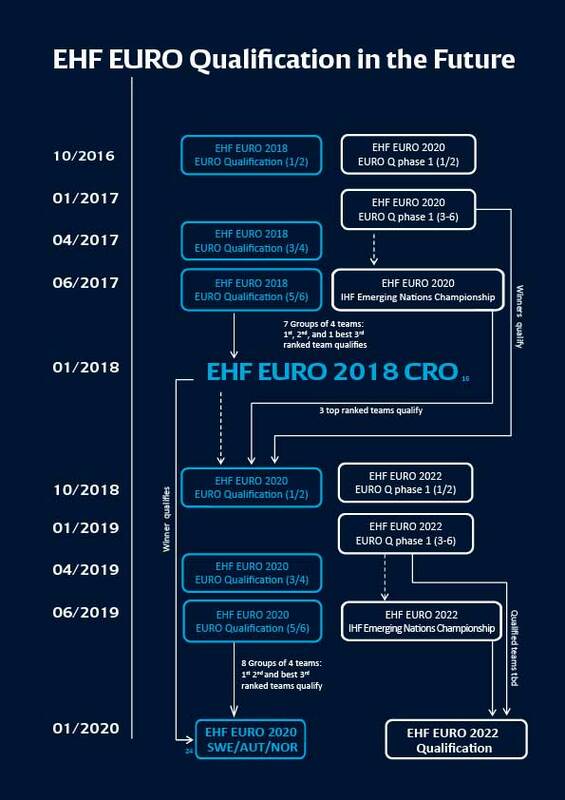 In 2020, the EHF EURO will expand once again, as the men’s competition grows from its current 16 teams to 24, becomes the first to be hosted by three nations, Sweden, Austria and Norway, and the first to be played in a football arena. This will be a pivotal moment in the development of the competition as more national teams are offered the chance to play for the European title, the event enters new markets and attracts an even larger pan-European audience. Croatia and France will host the next events in 2018 and we expect both continued growth and success. 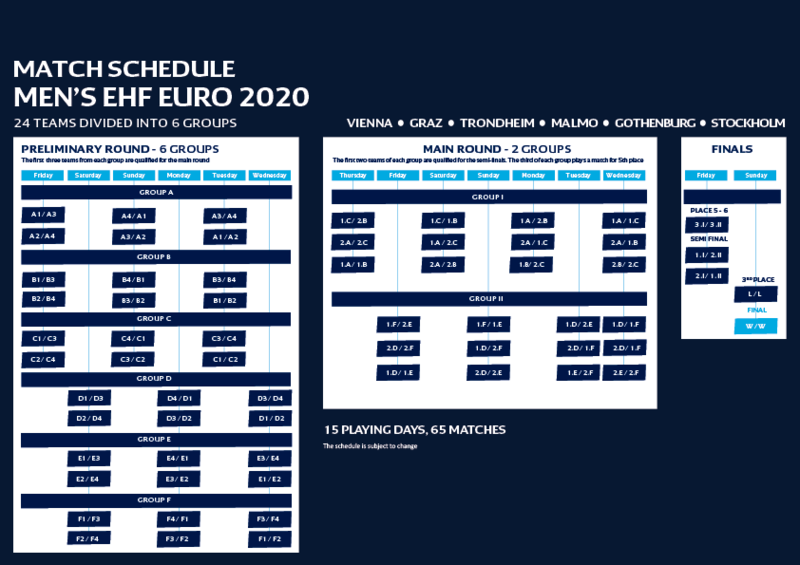 The focus of this publication, however, is the EHF EURO ‘Beyond 2020’ and particularly the Men’s and Women’s EHF EURO events in 2022 and 2024. Here we set out the EHF’s vision for these events and offer bidding nations an insight into the standards and expectations of organising a major international sports event. The EHF EURO is a prestigious sports event and can offer bidding nations many benefits and opportunities. Successful bids will bring new ideas and innovative concepts and we are looking forward to working with member federations to ensure both the organisation of successful events and a lasting legacy in host nations. 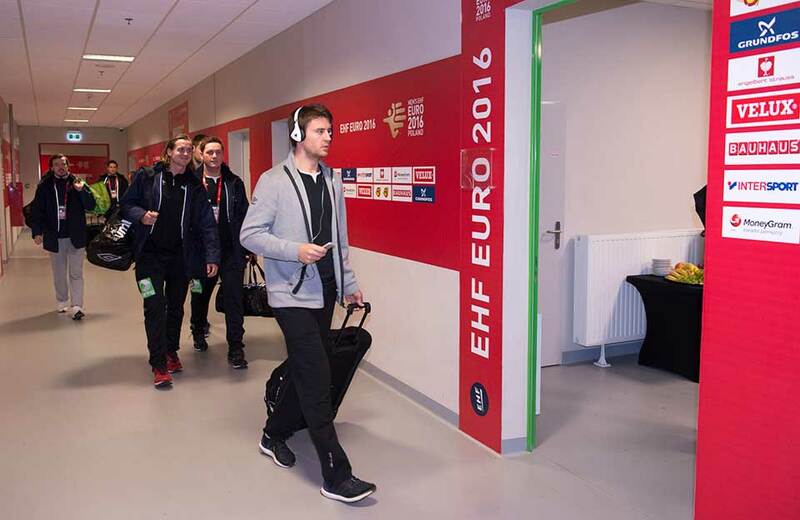 The EHF EURO is the European Handball Federation’s flagship national team event. First played in 1994, the final tournaments for men and women have established themselves over the past two-and-a-half decades as leading events on the international sports market. Each event is followed by billions around the globe on TV, across digital platforms and also live in sold-out arenas in each host nation. The competition brings together Europe’s top teams and the world’s best players in a format that is both interesting and enthralling not only to fans and players but also to the media, partners and sponsors. Where next for the EHF EURO? With the Men’s and Women’s EHF EURO events in 2022 and 2024, a new era begins for the EHF’s flagship national team events. In 2020, the Men’s EHF EURO will be played with 24 teams for the first time, a massive development for the competition as it enters new markets and provides more nations with the opportunity to play with the very best on the European stage. The event has already established itself in the psyche of the sports fan. TV audiences are counted in their billions and there is a large and growing following across social and digital channels. With this level of interest there are huge rewards for the organisers of a successful EHF EURO event in 2022 or 2024, in addition to opportunities to create a legacy for the sport for many years to come. The men’s and women’s events in 2022 and 2024 will be played in two different formats. 16 teams will play in the Women’s EHF EURO over 15 days. The preliminary round is made up of four teams each. The top three teams progress to the main round. The two top teams in each group then play in the semi-finals. An expanded men’s competition from 2020 sees 24 teams competing but still over 15 days. The major difference will be the fact that the preliminary round is played in six groups of four teams (examples on next page). 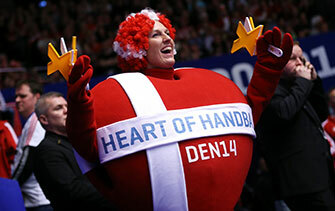 An EHF EURO is, however, about more than just playing handball. It is a major international sports event and a brand in its own right. It needs to be promoted and fans want to be entertained. It is a communications platform for partners and sponsors and the needs of the media need to be catered for to ensure extensive worldwide coverage. 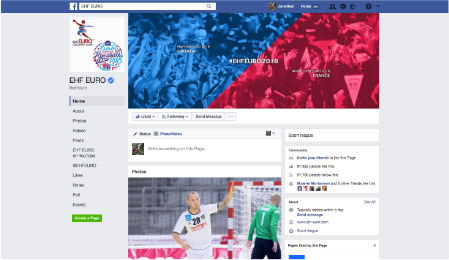 Over the next few pages you will find out more about what it will take to organise an EHF EURO event in 2022/24. Eight additional nations will get the opportunity to play in the Men’s EHF EURO from 2020 thanks to the expansion of the competition to 24 teams. The initiative from national federations will give a major boost to the ‘middle-ranked’ nations, which will now also have a realistic chance of playing at the top level and allow them to access additional funds and subsidies. This expansion also opens up new commercial opportunities for the competition as it enters more markets, creating additional revenue streams through the sale of media and marketing rights. 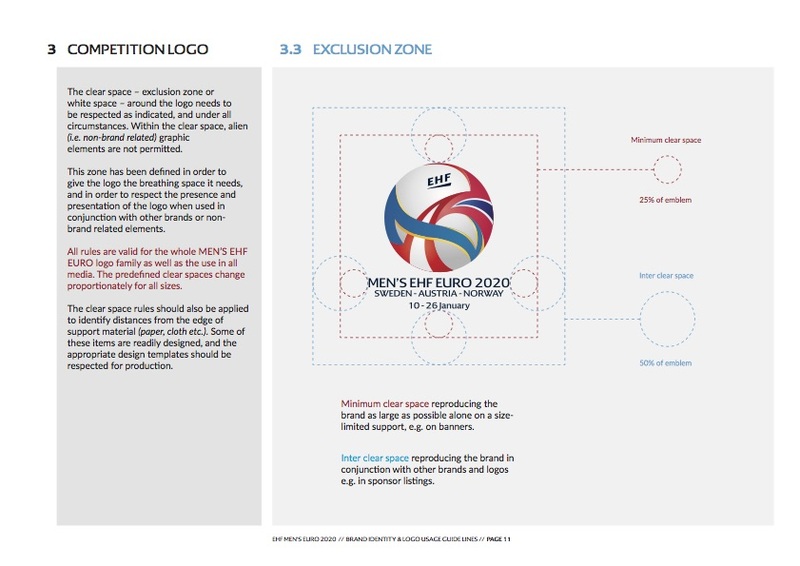 With the objective of the first EHF EURO in 2020 with 24 teams in sight, the European Handball Federation developed various new initiatives to tackle the issue of qualification for the revamped EHF EURO. The changes started with the introduction of a new two-tier playing system from 2016 in the younger age category events, to encourage more nations to play in national team competitions. To maximise the number of nations playing in qualification, and aware that playing in qualification on a home and away basis can be challenging for many of the continent’s emerging nations, the EHF also integrated the Men’s IHF Emerging Nations Championship into the qualification system. For qualification to 2020, no fewer than 48 out of the EHF’s 50 member nations entered, with nine nations playing in the first phase of qualification and 15 playing in the Men’s IHF Emerging Nations Championship. 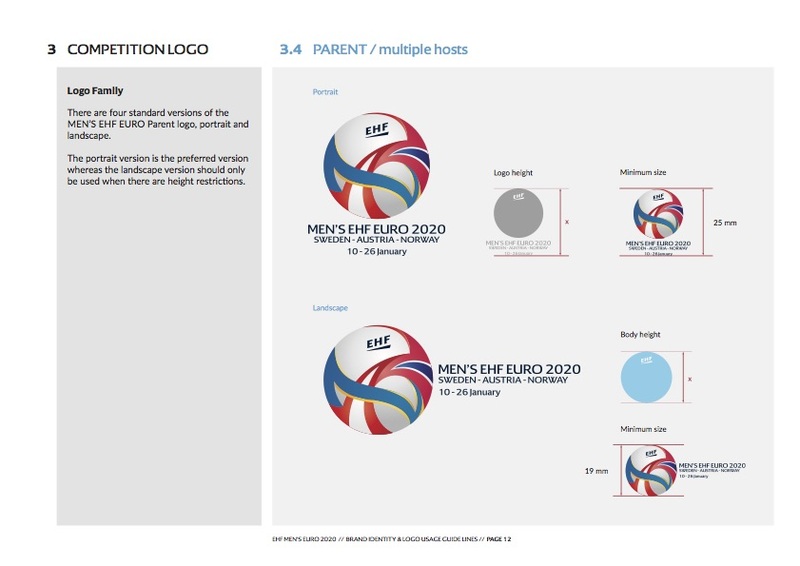 In 2016 a new corporate identity was launched for the EHF EURO events, starting with the Men’s EHF EURO 2020. 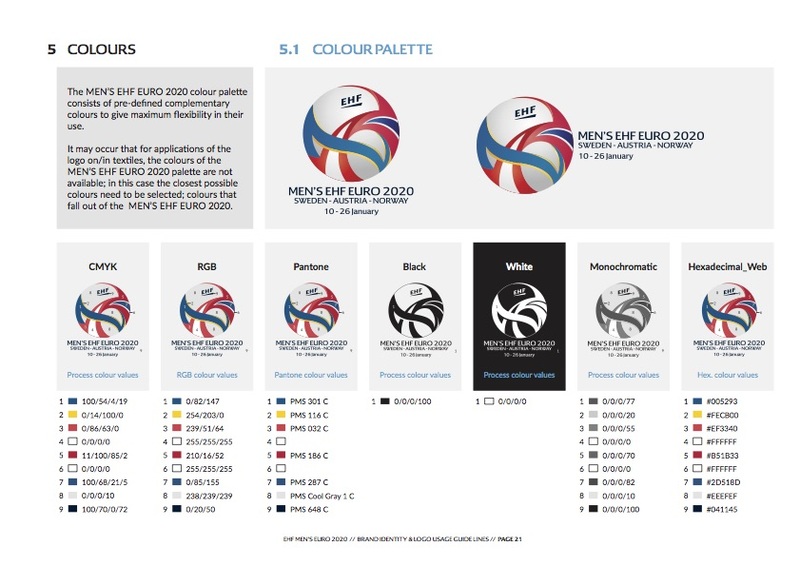 For over 20 years the EHF EURO logo has changed with each championship, often causing problems in its implementation in areas such as TV graphics, merchandising and printing. The new EHF EURO corporate identity incorporates a design system, which reflects not only the EHF brand but also the individual characteristics and flare of each championship. The EHF logo is at the centre of the new logo and each organiser has the freedom to create an individual logo for their event within the framework of the design system. The first version of the logo for 2020 combines the colours of the three host nations in the same space while incorporating each country’s flag. Combined with the EHF logo and its official font, the logo offers a clear and uncomplicated design, but still allows for creativity to flourish and partnerships to evolve. The system does also allow for some flexibility. The newest addition to the logo family is the composite logo so that every official sponsor, host city, partner or supplier can have their brand implemented in the right way. The further development of the EHF EURO brand was clear for all to see from the start of the Men’s EHF EURO 2016 in Poland. Gone was the distinctive but outdated ‘yellow and blue’ flooring system that was first introduced in 1998 to be replaced by a lagoon floor. The organisation of an international sports event such the EHF EURO is a major undertaking for any national federation and many different aspects have to be taken into consideration right from the awarding of the event by the EHF Congress. 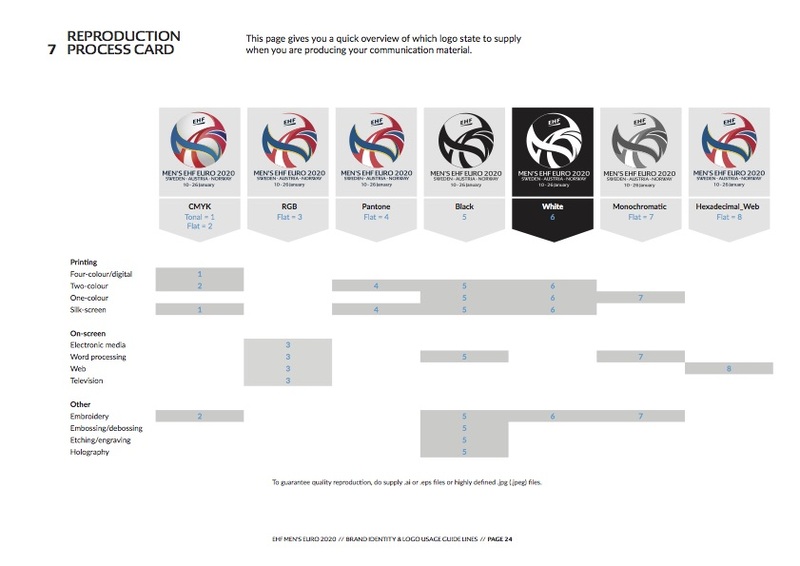 A basic timeline is defined for organisers for the next four to six year period detailing all the preparation and tasks that need to be completed before the final tournament. Continual expert assistance and support is provided throughout the process by the EHF and its event partners with regular workshops and site visits to ensure progress towards the final event. 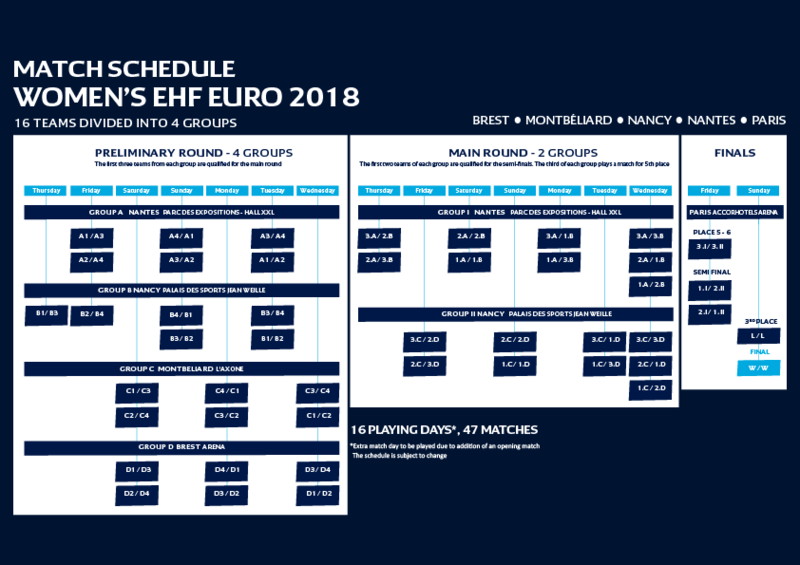 Key elements such as venues, ticketing and preparation events have to be agreed with the EHF as do aspects such as event promotion, the organisation of draw events, heads of delegation conference and the officials conference. Underpinning the organisation of the event is a professional team of staff and volunteers, especially in key areas such as media management, marketing, finances, venue management, logistics, transport and ticketing. 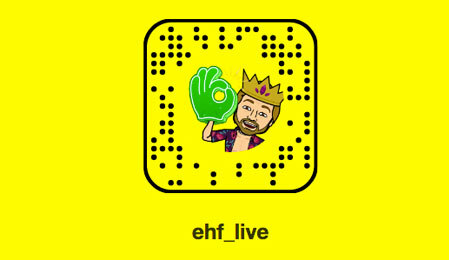 The EHF EURO provides partners and sponsors with an unrivalled pan-European platform through which to promote and activate their brands and products to an audience of billions on TV as well as through digital channels and on-site. The package of benefits available to the event’s official sponsors includes: strong brand positioning in camera view around the court through advertising sequences on LED boards, floor stickers and interview backdrops as well as full activation rights, corporate hospitality opportunities and tickets. 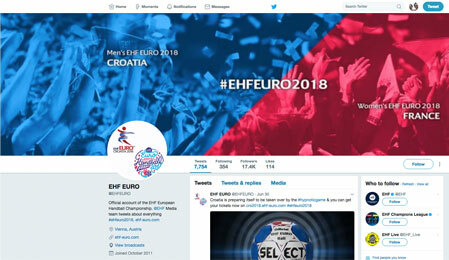 From the EHF EURO 2018 in Croatia, sponsors will be able to make use of a full 80 metres of LED advertising surrounding the court, providing much improved visibility for brands and their advertising. In addition to presence in the arenas, sponsors can also benefit from many additional branding and activation opportunities. 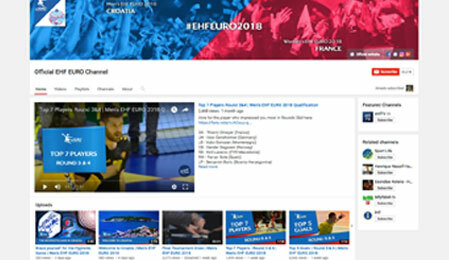 Through branded content or campaigns on digital channels, it is possible to engage with millions of fans through the EHF EURO events’ official digital channels. 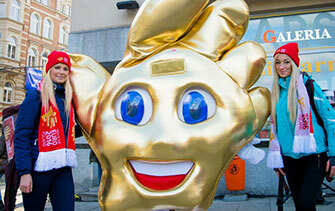 On-site too, opportunities can be provided for activation at special locations in the host cities, including fan areas in the city centres or arenas. All 16 countries had the 2010 EHF EURO taken to them, with a full tour comprising of over 120 events. Top-class handball has long been about more than simply two teams competing over 60 minutes. The handball match has become an event and the sport a form of entertainment, competing to attract fans not just from other sports but also many other leisure activities – and it is a competitive market. 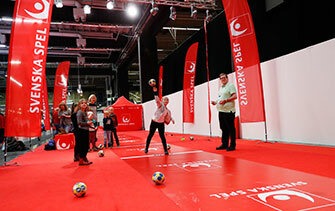 At major EHF events, the ‘Fan Zone’ has now become a key feature of the overall event entertainment concept and provides an opportunity for partners and sponsors to engage in a fun way with handball fans. The first official ‘fan zones’ for an EHF EURO were launched at the Men’s EHF EURO 2014 in Denmark – in the wintry month of January. 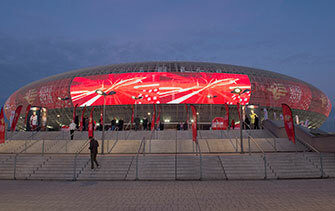 Such was the success of the fan zones in Denmark in the middle of the winter, that two years later, in Poland, the cold weather was no barrier to fan zones being set up in every host city, right from the very start of the championship. The debut appearance of the official EHF EURO fan zones at a women’s championship came in Sweden in December 2016 with the Swedish Handball Federation creating the ‘Friends Zone’ in the same complex as the Scandinavium Arena in Gothenburg. Talking of furniture, a very distinctive feature of several of the most recent EHF EURO events has been a seemingly innocuous red sofa. Placed in a prominent place in the event’s main arena, the red ‘fan sofa’ was first implemented in Denmark at EHF EURO 2014. 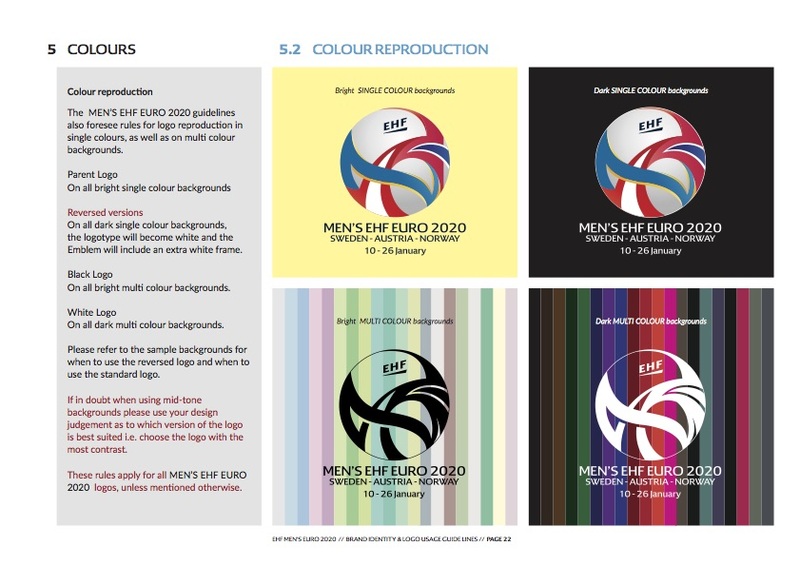 Part of the EHF EURO fan experience is the production of a dedicated event magazine distributed at all of the arenas and fan zones. The magazine provides a wealth of tournament information for fans about the players, teams, officials, travel, accomodation and much more. The programme is also a powerful platform for showcasing EHF EURO host cities and increasing exposure of event sponsors and partners to fans attending matches. The media is a key stakeholder for the EHF and the federation and its partners invest considerable resources to ensure the very best working conditions for media professionals. 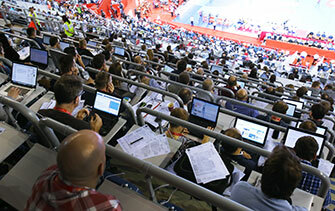 Working alongside print, online, radio and TV journalists, the EHF EURO media management team aim is to ensure the outside world can enjoy very best coverage from each event. With a potential of over 1000 media representatives on-site during each EHF EURO, a professional media management team is essential to ensure excellent working conditions for the media. 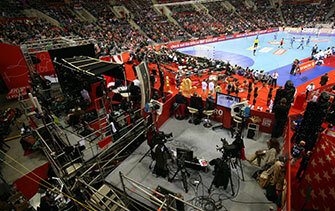 At each EHF EURO the team comprises: local media management, made up of both professional media staff and volunteers provided by the Organising Committee; EHF media supervisors in each venue and also venue supervisors provided by the event’s media partner to manage the requirements of the event’s TV partners and to liaise with the host broadcaster. For TV partners, a complete range of host broadcaster and production services are offered to ensure that the best quality pictures are beamed into the homes of viewers across the world. With broadcast agreements with over 65 broadcasters at the women’s event and 75 for the men’s, the best quality coverage of the event is guaranteed with full HDTV coverage from each venue and up to 18 cameras per game. 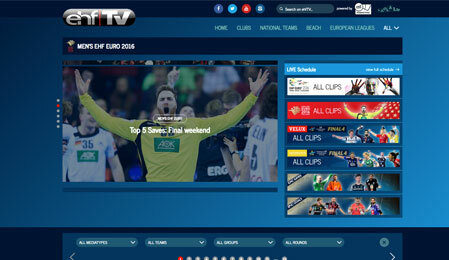 The work of the media, both on-site and for those following the event from their home nations, is supported through a range of media services offered by the EHF through its dedicated media portal. Alongside event-specific information delivered in print form through the ‘Championship Guide, and online through the EHF’s dedicated Media Portal, media representatives are offered detailed head-to-head statistics from all matches, an Olympic-style flash quotes service as well as free of charge photographs for use in match reporting. Storytelling lies at the heart of the media’s coverage of the EHF EURO events and to ensure the best possible opportunities for media representatives to tell the story of the event, they are offered unrivalled access to the stars of the game thanks to the EHF’s innovative approach to media management. In addition to each team’s own media events, official media calls and press conferences are scheduled throughout the tournament where the media can meet players on a one-to-one basis. What better way to understand just what it is like to play at an EHF EURO than for the media to experience it for themselves? At each EHF EURO, media representatives are offered the chance to play in the final venue and on the championship floor, in the hotly contested media tournament, played under the same conditions as the EHF EURO itself, where the media’s own European champions are decided. Introduced for the first time at the VELUX EHF FINAL4 2016, the system was in use in every game at the EHF EURO in Sweden. It offers referees the possibility to watch any match situation immediately on a TV screen at the side of the court, before they reached a final decision. It is only the referees and not a third official or delegate, who can decide that they wish to refer to technology to ensure that they reach the correct decision. With cameras installed in each goal, this technology provides referees with the opportunity – if they decide – to pause the game and see whether a ball has completely crossed the line, or, as the video is linked to the match clock, if the ball has crossed the line before the end of the half. Goal-light technology is a special initiative from the EHF to ensure that players, officials and fans also have a visual signal each time a buzzer sounds for team timeouts or at the end of each half – essential in large arenas where a loud atmosphere can make it difficult to hear the whistle. 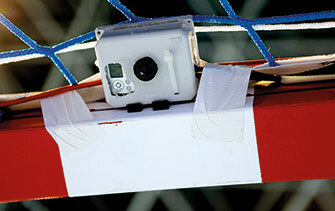 The signal also provides further help to referees in deciding whether a last-second shot has crossed the line or not. The EHF offers teams and officials a unique service at each of its top events in the form of the digital scoresheet - basically, a visual representation of the paper scoresheet available at the end of each match – users can view any situation of the game with the click of a button in real-time on a PC or mobile device. Situations that have been scouted can be filtered to view different actions during the game including goals, two-minute suspensions or fouls. Applications should be presented with detailed information in the form of a bid book. This should contain all of the main elements of the bid: vision, event concept, national, regional and local support for the bid as well as details of the host cities and venues. Deadline: 1 November 2017. To assist in the promotion of each bid, each submission will be provided with a one-page section on the official bidding website. This should contain a summary of the main elements of the bid and can include: text, photographs and a promotional video. Each bid can also provide an additional link to its own bidding website. Deadline: 13 April 2018.